Mitsubishi Delica Owners Club UK™ :: View topic - What security system recommended? Posted: Tue Mar 05, 2019 0:22 Post subject: What security system recommended? Does everyone have security on their delicas? Just immobilisers or fully alarmed? Posted: Tue Mar 05, 2019 0:22 Post subject: Google Ads keep this community free to join! See my reply to kit32, I could have shown you my device, when you were at my place. Yeah, I think you did already Deker. I have had a Hornet Thatcham approved alarm/imobiliser system for 10 years and apart from a connector failing a month or so in its been perfect. 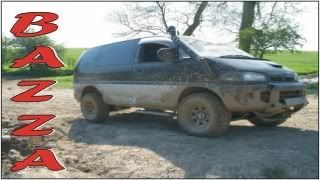 It has been covered in mud on hundreds of occasions and it's all linked to the central locking and courtesy lights too. Mine is black and silver it is the best colour. ...and 'courtesy lights' ...not sure what you mean by that, as courtesy lights will come on when doors unlocked? won't they? I can't remember what the lights did before as the alarm went on two weeks after I bought it but they come on when I press unlock on the remote. Only if you have it switched to come on. I have a key that I sometimes remember to use!